Pick Me! You are so nice to do these giveaways. These are great! That smiley little box would cheer me up on a gloomy day! Pick Me!!! This would be great my 8 year old just lost his lunchbox!!! jennscruiser@aol.com !!! Awwww! This is so such a super cute set! You find the cutest things. I hope I win! I have both those exact egg molds & the animal pics & I ADORE them both! Great giveaway! My e-mail is amy.a.sisson at gmail dot com. By the way, I was wondering if the "my favorite and my best" line is a tribute to the Charlie & Lola books? I love the book "Snow is My Favorite and My Best"! Pick me! My son's lunch could use a little excitement! Thank you for another opportunity to win fun stuff! I would live to win this! I hope I get picked! How cute! I love egg molds so much! Would love to win such cute things!! Oooh Ooooh me! Me! Pick me! Thanks again for the awesome offer, looks like great loot! Cute! My kids would love these! And maybe the picky ones would eat better! haha! Oh oh oh! 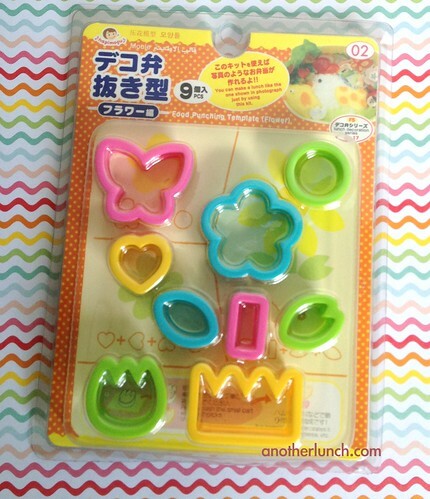 I love all of those cutie pie bento supplies! I would love them! Love, love, LOVE these! Thank you for doing these giveaways and I love your blog! I can't believe how many items are included in the giveaway. I'd be excited to have any of these things to build my bento collection, but all of them together would be amazing! 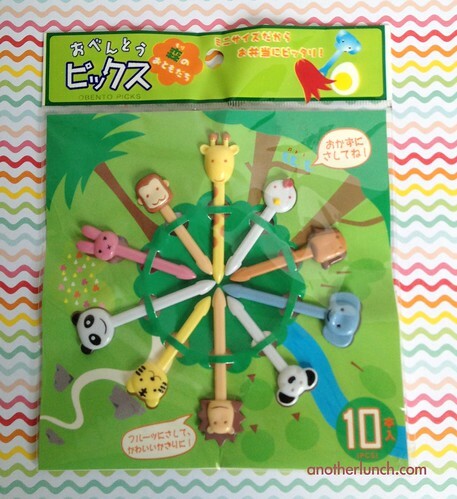 I love the animal picks, anything with a giraffe on it has my vote! I would live to win this!! I made my first (two I guess) bento lunch for my kids yesterday and had so much fun!! I hope they enjoyed it as much as I did making it!! Thanks for offering another giveaway! I really hope I win this time...this stuff is so cute and my son(s) would love it! Such a fun giveaway. I won one of your giveaways of lunchpunches and have LOVED 'em. Take care! Would love to win these great goodies! So cute! woot! my kids would love these!! My kiddos would love love love these! Fun fun fun! Thank you! Your site has been so helpful for lunch ideas! Thanks!! Those sauce bottles are adorable! I get so many great ideas from your site, and the granola bites are a new favorite around my house! Your lunch ideas have convinced me to make better, fun meals for my whole family. Thank you for sharing your talent! I'm glad you are opening this giveaway to all over the world, I am currently trying to spread the knowledge and joy of bento to England and many people love the idea and have been inspired to start. It's my birthday soon so I can't think of a better reason for entering in for a chance to win some fab prizes =). I'm also a-wonderin' if I'm going to win. If not, I have enjoyed seeing all of the cute items you have. Thanks! Can't wait to stock up for my pre-K kiddo! Love your site. My 5 kids ages 2-11years old saw what I was looking at and all went "ah we want that!" the youngest going "me too me too"
So cute! I'd love these. Thanks! I love your ideas! What a great giveaway! I missed you while you were gone!! More inspiration needed! I'm relatively new to bentos, but even with my limited supplies, my kids are delighted by lunch now. Love the picks! While I hope I win, good luck to everyone! I'm the mom of 5 with #6 on the way. 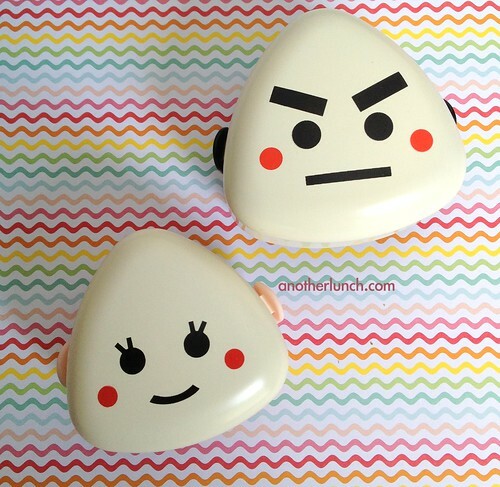 We've recently started packing bento lunches and could use some more bento gadgets and toys. Pick us! These goodies are just too cute. Putting my name in the pot again and crossing my fingers! YAY! Count me in....those boxes are adorable!! Such cute things! Pick me, please! I love these!! those sauce bottles are killing me with cuteness! Yay, another giveaway! Good luck to everyone! i pack bentos for my daughter's day care and you are such an inspiration! So great, thanks for the giveaway! Another great selection of give-away stuff! Awesome stuff! Thanks for holding the giveaway! I'm a fan from GUATEMALA, CENTRAL AMERICA! I've just started bento-ing for my 3 year old and your blog has been a great inspiration! Love your blog! And would love to win some great stuff to really start a bento collection. Thank you for this giveaway. I am following your blog for a long time, from a little island in the Indian Ocean, named La Reunion (french island)! Thanks so much for the great ideas. My girls are starting preschool in June and I'll be starting this bento box "madness" soon!! I will definitely follow your blog for lunch ideas. Oops! Trying to get this right! Thanks for another give away! You are so kind! love your blog & thanks for the great ideas! thanks for the giveaway! So very cute. I especially love the ornigiri ! I love seeing all your creative lunch ideas! Thanks for the chance to enter! Yeah! Thanks for the 2nd chance giveaway! Thanks for giving us a second chance to win!! I just recently found your site, and I'm loving it! Next fall, I'll have 3 kids in school and want to start packing some more creative and fun lunches. Thanks for the great ideas! Great giveaway! Those sauce bottles are adorable! I love those animal picks! thanks for the chance! Thank you so much for doing this. The little sauce containers are too cute! I wanna use all those items so badly! My daughter would love bento items. Hi there! I'd love to win and make cute lunches for my kiddos! These are so cute... So many goodies I've never seen before. They look really cool, I especially love the cutters. Pick me this time:) Love your ideas. Yippee!! So glad it's world wide so that little old me down under in OZ can enter...I am just so in love with making bento lunches for my twin girls and this fab package would certainly add to my beginner collection! I started reading your blog before my baby was conceived. Now he's here and I have finally have someone to make cutie bentos for. Sonexcited. Thanks for including people outside of the US! Would love to win! I would love to get into this. Thanks for all the inspiration! Oh how I want to win this!!!!!!!!!!!! 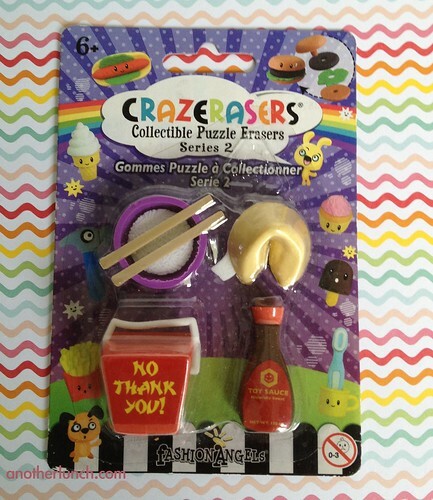 My kids would love using those items themselves to create meal masterpieces. So much fun, thank you for the opportunity! 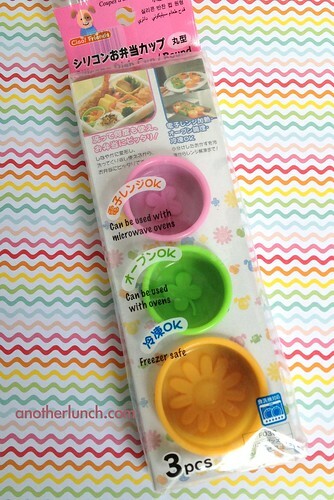 I have just started to build up my collection of bento making accessories, these would be awesome! This would be so awesome! I'm still building my collection and could use EVERY ITEM in this giveaway. I'd love a chance to win. I'm just starting bento for my almost 4-year old daughter. the egg molds always get me! they're just so cuuute! I really would love to win :) Thank you so much for the giveaway! I found this blog by accident and I really like it. In my country it's really hard to find anything conected to bento, so I decided to try participate in your giveaway. Sorry for my English. Good luck and have a nice day :). Fun Stuff! 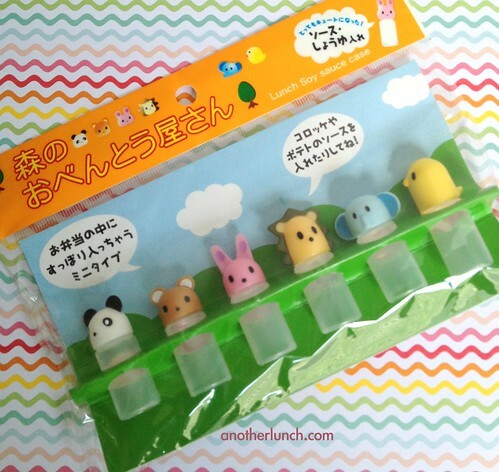 Just entering the world of cute lunches and would LOOOOOVE to start my collection! I am just starting to make meals for my picky toddler and all this incredibly cute stuff would really encourage her! Being half Asian, I want to make sure my daughter inherits a true appreciation for all things CUTE! Yay! I love Bento lunches! I would love to be included. I just recently started bento-ing for my toddler and myself. I put the scraps from her cuteness and combine it into mine somehow. Saves on waste around here :) I'm so glad I found your blog, it has so many good ideas! This is so cute! I am new to the bento world. My lovely boyfriend just gifted me my first bento box for my birthday and these supplies would be a wonderful addition! Love the giveaways!! Thanks so much! so cute the mini erasers!!! How cute! I've just started to make bento lunches for my kiddos and these are some great supplies! 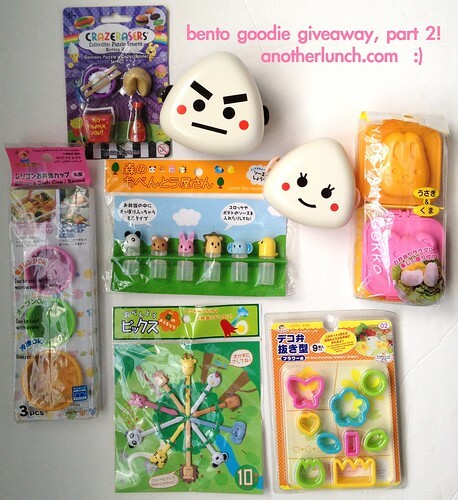 would love to win some bento goodies! my first kidlet is starting school in the fall, so i need some goodies! My son is still going to daycare now but starts school in August. He will have to start bringing packed lunches from then on. I am looking forward to make him some interesting creative and healthy lunches so I would LOVE to get the necessary tools. Thanks! Thank you for the opportunity to enter this giveaway! I'm new to all the bento stuff! I would love to start collecting for lunches this year! just stumbled across your site! How fun is this!!!! :-) I did a search for planet box creations. I have been following your blog for quite awhile. I am hoping to stock up on stuff to start the Bento expeirance next fall with my children!! These are adorable! I just found your site through Pinterest! pick me! hehe :) My 4 year old who starts school next year would sure love fun little lunches! You continue to inspire me as I pack lunches for my kiddos. Thanks! My oldest will be in Kindergarten soon and I can't wait to pack her fun lunches to take! I love those animal picks! I just discovered your website through Pinterest and I am SO excited!! Thanks for all of the great ideas I've already gotten! Oh my goodness, I'd LOOOOVE to win this giveaway!!! What a great set of stuff! I've spent hours ooh-ing and ahh-ing over your site! I had no idea that bentos could be so amazing. My sister is now reading through all your past posts - we're both amazed at your creativity! Super cute! Love the ideas for my girl scout troop!